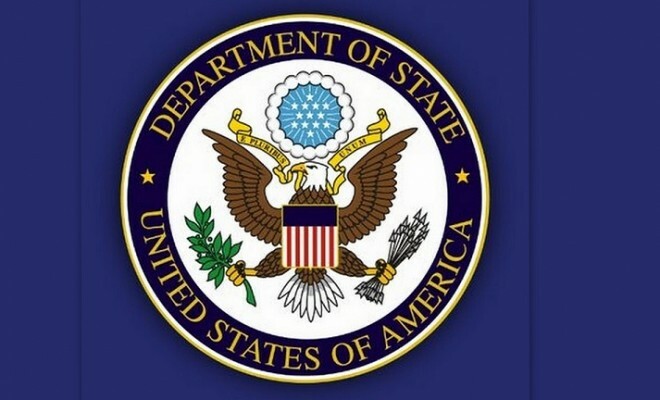 The United States is deeply concerned over reports from Afrin City over the last 48 hours. It appears the majority of the population of the city, which is predominantly Kurdish, evacuated under threat of attack from Turkish military forces and Turkish backed opposition forces. This adds to the already concerning humanitarian situation in the area, with United Nations agencies reporting a displaced population in or from Afrin district in the hundreds of thousands, who now require immediate shelter and other assistance to meet basic needs. We are also concerned over reports of looting inside the city of Afrin. We have repeatedly expressed our serious concern to Turkish officials regarding the situation in Afrin. The United States calls on all relevant actors operating in the northwest, including Turkey, Russia, and the Syrian Regime, to provide access for international humanitarian organizations, facilitate the urgent delivery of humanitarian assistance to those displaced by the violence, and develop a coordinated program for the safe and voluntary return of people to their homes in Afrin City as soon as possible. The United States remains committed to the full and immediate implementation of UNSCR 2401, which calls for a nationwide cessation of hostilities throughout Syria for at least 30 days. The United States does not operate in the area of northwest Syria, where Afrin is located. We remain committed to our NATO ally Turkey, to include their legitimate security concerns. We also remain committed to the Defeat ISIS campaign and our Syrian Democratic Forces partners in eastern Syria. The fighting in western Syria over the last two months, including in Afrin, has distracted from the Defeat ISIS campaign and provided opportunity for ISIS to begin reconstituting in some areas. This is a serious and growing concern. We call on all actors in Syria to remain focused on this significant threat from ISIS.